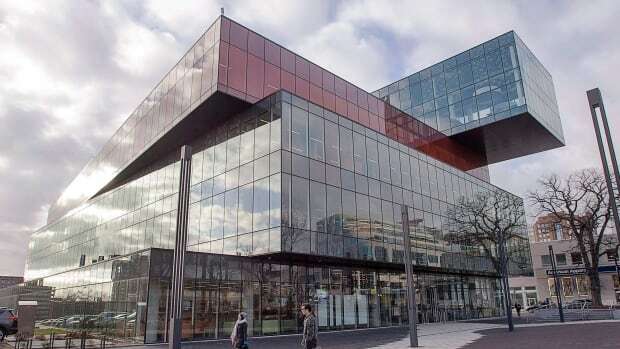 Halifax firm Fowler Bauld & Mitchell won a Governor General’s Medal in Architecture for its work on the Halifax Central Library. Sandy and Pat drove up to Nova Scotia from Rhode Island this year, a trip that had been on their bucket list for some time. 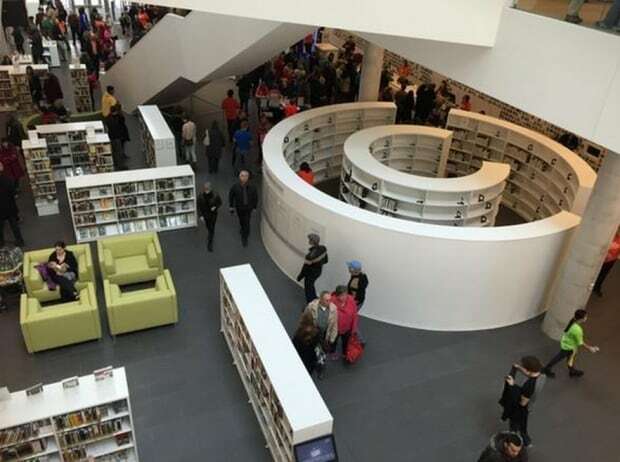 I loved hearing their blow-by-blow account when they returned and, among other things, their enthusiasm for the Halifax Central Library, where returned books reshelve themselves with little-to-no human assistance. I Googled around to see what I could find about the library. ” ‘This outstanding new civic building is a community gathering place that responds to the diversity of its users, accommodating many more activities than the traditional library,’ the jury wrote. “The proof that people’s opinions mattered and were considered showed on the day the library opened, said Cotaras. ” ‘They knew what it was going to be like but they had never been able to see inside and when they came in they went, “Wow,” and people were going around saying “Wow, that was my idea. I suggested that.” ‘ ” More. Can’t help thinking that community involvement would be a good idea for every area of public life. A view from the second floor of the new library. A must see when in Halifax….Happy 🦃 to all.